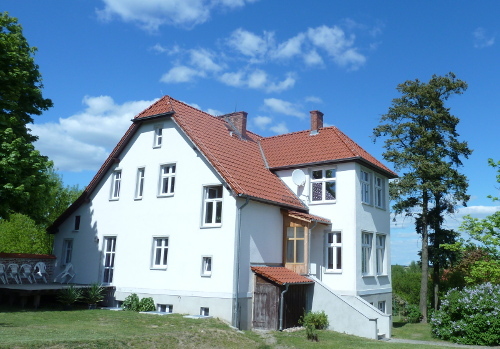 The House in Paul-Kluth-Straße 14 in Hohenlychen was built in 1914 by the Forester at that time Hermann Georg Carsted. He had it constructed with high ceilings and wide rooms with large windows. The house had two owners since then, one of which was his son. We acquired the building in 2010 with the intention to restore the former appearance. We divided the 240m² of living space into three separate apartments. Including Court and garden the total ground measures 2600m² where we installed two seating areas for our guests. The price for an apartment includes towels and bedlinen as well as the final cleaning..